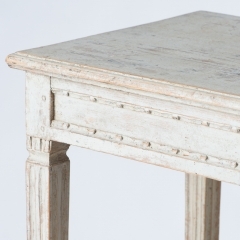 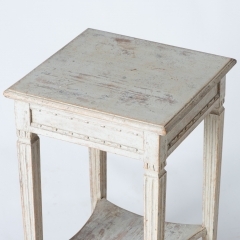 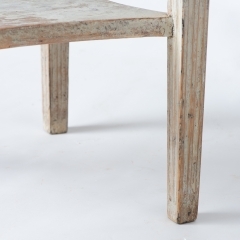 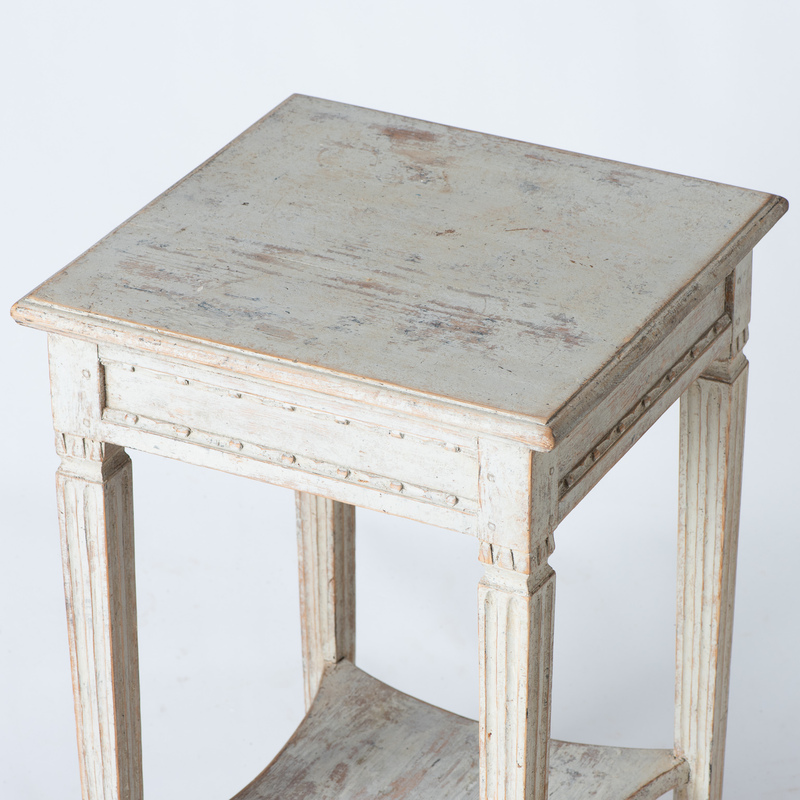 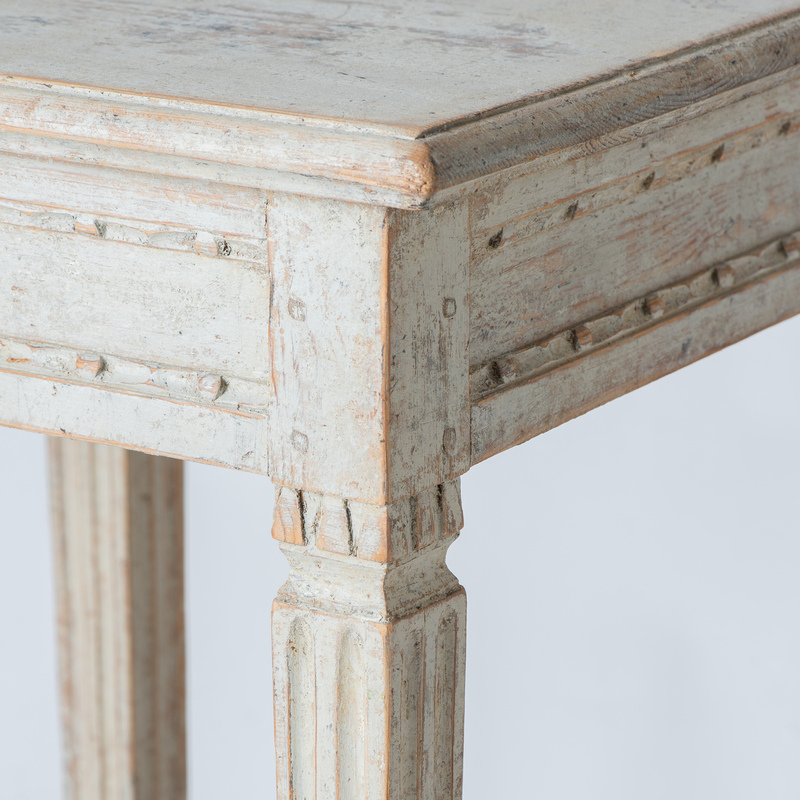 This elegant table from the Gustavian period has refined details, including carvings around the apron, and distinctly reeded legs framing the indented bottom shelf. 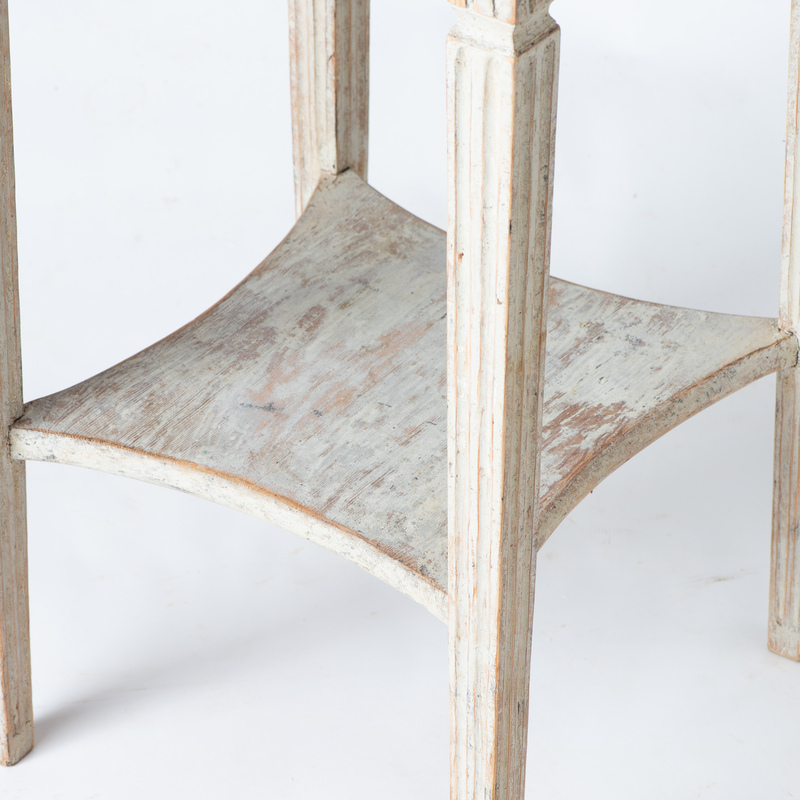 The pale cream paint surface is original. 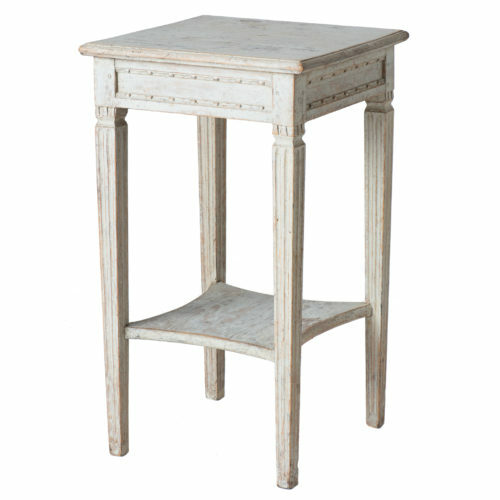 The table is an ideal size to fit in many spots.